The Japanese company removed Ghosn from his post last month after he was detained on allegations of under-reporting his salary. The board of automaker Nissan was meeting Monday to discuss a replacement for former chairman Carlos Ghosn after his arrest for financial misconduct, as tensions grow in the firm's alliance with Renault. But it appears unlikely to agree on a permanent replacement for him immediately, in part because of open discord with French automaker Renault. Nissan itself faces charges of allegedly submitting financial documents that understated Ghosn's pay, and Renault is now reportedly seeking more sway on the Japanese firm's board. The Wall Street Journal reported Sunday that Renault urged Nissan in a letter to hold a shareholder meeting to discuss Renault's representation on the firm's nine-member board and within its top management. It warned Nissan's indictment "creates significant risks to Renault, as Nissan's largest shareholder, and to the stability of our industrial alliance", the Journal reported. A source with knowledge of the issue confirmed Nissan had received the letter and was planning an extraordinary shareholders' meeting, though regulations on calling such a meeting make it unlikely to happen before February. Renault's letter is the latest sign of the tensions in the alliance that groups the firm with Nissan and Mitsubishi Motors -- a partnership that Ghosn forged and was often credited with holding together. While Nissan and Mitsubishi Motors quickly removed Ghosn from leadership positions after his arrest, Renault has kept him on as CEO and chairman. And while Nissan CEO Hiroto Saikawa launched a broadside against his former mentor shortly after his arrest, describing his "dark side", Renault has approached the allegations more cautiously. 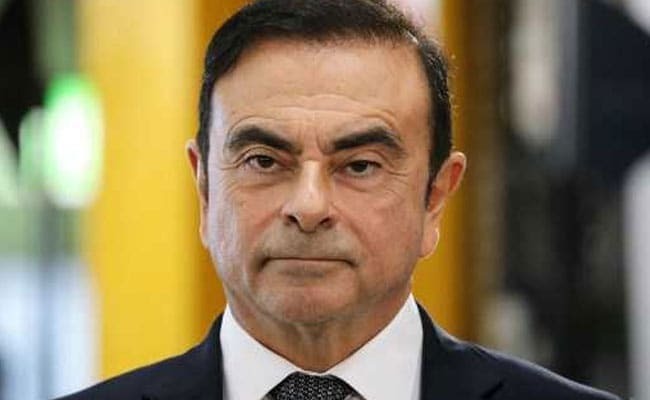 The decision on replacing Ghosn at Nissan is being led by an advisory committee that includes a former Renault executive, and Japanese media reports suggested it was unlikely to reach a decision on Monday. "It slows things down, but it isn't the end of the world," a source close to the issue told AFP. "We need to let them talk and decide properly. That's more important than rushing." The company is instead likely to announce new governance measures intended to address criticism that it failed to prevent Ghosn's alleged misconduct. Nissan announced on Monday afternoon that Saikawa would address a news conference after the meeting. As his former employer wrangles over his replacement, Ghosn remains in the one-man cell at a Tokyo detention centre he has occupied since his shock arrest on November 19. Prosecutors have already charged him with under-reporting his pay by around $44 million over the five years to 2015, and are also investigating claims he under-reported it further in the past three years. He will be detained until at least December 20, when prosecutors will either file new charges or request another 10-day detention period while they continue investigations. A range of additional claims of financial misconduct have been made against Ghosn, including using Nissan funds to purchase homes around the world, though prosecutors have yet to level those accusations formally. He and his former right-hand man Greg Kelly, who is also under arrest, reportedly deny any wrongdoing. The charges have sparked a legal battle over Ghosn's flat in Rio de Janeiro, with Nissan trying to prevent his family members from accessing the property and removing items. A Brazilian court authorised relatives to access the apartment, despite claims from Nissan that they were removing corporate documents. Ghosn's arrest marked a stunning reversal of fortune for the Franco-Brazilian-Lebanese tycoon, once revered in Japan for effectively rescuing Nissan from insolvency. He helped engineer the alliance between Nissan, Renault and Mitsubishi, creating a partnership that sold more cars than any other globally last year.